MACOMB, IL - - Author and inspirational speaker Rob Besecker will deliver the Western Illinois University Fall 2017 Robert and Mary Ferguson Lecture Tuesday, Nov. 28 in Morgan Hall, room 209. The lecture, "Everest Strong: Reaching New Heights with Chronic Illness," will run from 3-4:30 p.m. and is sponsored by the WIU College of Business and Technology. A student organization presentation will be from 5-6:30 p.m. in Stipes Hall, room 121, and a question and answer and book signing will follow each session. The events are open free to the public. Besecker started off as a successful student athlete in high school, earning both academic and athletic scholarships to college. After graduating college, Besecker became a manager for American Airlines until he moved on to the healthcare field, where he has worked for more than 10 years and counting. "I have accomplished many noteworthy things in my life, but you can't always judge a book by its cover," said Besecker (robbesecker.com). "Due to genetic predisposition, I have been suffering from chronic and progressive heart ailments and muscular dystrophy for many years. The day to day struggles of fatigue and pain in my life have not been easy." In 2011, Besecker endured 20 ICD (implantable cardioverter defibrillator) shocks, five cardiac-related surgeries, seven emergency room visits, six ambulance rides, five calls to 911 and a collapsed lung. "In spite of all the challenges I've faced, I have always found the strength to move forward, make the best of every situation and fight every obstacle that stood in my way. Life is full of detours that require me to consistently evaluate and update my goal, and I have never let anything stop me from achieving what I set out to reach," added Besecker. 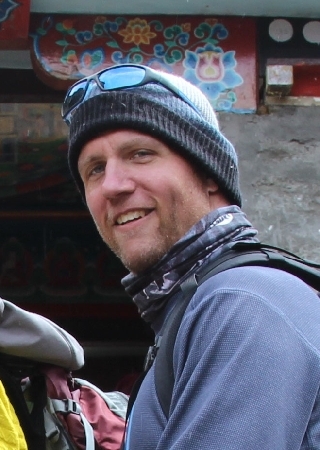 Through the years, Besecker has visited all seven continents, and in 2015, he successfully hiked to the base camp of Mt. Everest. The Robert and Mary Ferguson lecture was started 25 years ago by the generosity of the late Robert (Bob) and his wife, Mary. Robert received his bachelor's degree from Western and later served as a professor and the business education chair for 20 years. He was instrumental in guiding the WIU Department of Business Education through numerous changes, including the 1966 establishment of the WIU College of Business. The lecture series is based on Robert's belief that all college students should benefit from the depth and breadth of experience, especially by seeing and hearing from key business leaders who have been successful. For more information, contact the College of Business Technology at CBT@wiu.edu or (309) 298-2442.